WASHINGTON, DC — The international community has turned a blind eye to the ongoing human rights abuses committed by Cuba’s communist regime throughout its 60-year tenure, Carlos Ponce, the director for Latin America programs at Freedom House, declared during an event hosted by the Organization of American States (OAS) Friday. Ponce participated in several panel discussions during the event, which was focused on human rights abuses in Cuba, home to the oldest dictatorship on the Western Hemisphere. The OAS featured over 20 panelists – including experts, witnesses, and former prisoners – who shared their knowledge and experience about human right abuses in Cuba. 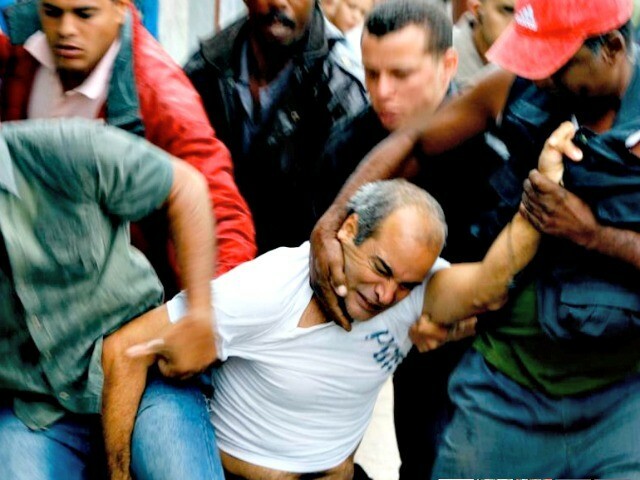 Cuba’s communist regime “is a criminal mafia that has been harassing Cuba for the last six decades. There has been a very unacceptable international complicity,” Ponce proclaimed. “The international community can not continue to ignore this crime that is committed against Cubans,” he noted, alluding to “daily” human rights abuses. Cuba’s “cancer has to be cut out,” Ponce concluded, referring to the communist country’s “criminal” regime. According to the panelists, Cuba is still holding an estimated 140 political prisoners who continue to be subjected to starvation and other forms of torture. “The 140 male and female [political] prisoners are forced to live in overcrowded cells, subjected to hunger, lack of medical assistance, beatings, and slave work while barefoot, semi-naked, malnourished, [and] hungry,” Luis Almagro, the OAS chief, revealed. Prisoners are “forced to work even when they are sick otherwise they are beaten and taken to isolation and punishment cells,” he added. During the event, Luis Zúñiga, a former political prisoner, told Breitbart News that Cuba continues to systematically employ starvation and dehydration as a mechanism to break political prisoners physically and mentally.